UB7 West Drayton Top-Rated Rug Cleaners | RDA Cleaning & Maintenance Ltd.
Having many years of experience in the home & office rug treatment segment, we can promise you safe & efficient cleaning of all rug types and styles. Choose us and we’ll successfully clean any wool rugs (hand-knotted, hand-loomed, hand-tufted, machine-loomed), natural fibre, hair on hide rugs, cotton rugs, synthetic rugs (both indoor and outdoor) and rug pads. In terms of style we can deal with all rug styles there are: traditional, transitional, contemporary, outdoor, flokati & shag, floral & tropical, solid & border, novelty, southwestern, world beat, braided and of course children's rugs. Depending on the rug type you have, either deep dry or steam rug cleaning West Drayton UB7 will be performed. Our experienced rug cleaners West Drayton UB7 begin by inspecting the fabrics of the rug. That way they can determine the right detergents to be used. After this, they would pre-treat all the dirt patches, high-traffic areas and stains. When finished the special absorbing powder is being evenly applied on the entire surface of the rug after which a special machine with lots of tiny brushes scrubs the powder deep into the rug. There it combines with all the dirt and grime and is later vacuumed off. 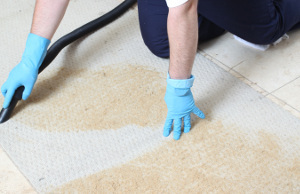 Why Hire RDA Cleaning & Maintenance Ltd.'s Rug Cleaners in West Drayton UB7? Expert Rug Cleaning Service In West Drayton UB7 - Book Now! To make a direct reservation for an expert rug cleaning West Drayton UB7 session, just use our online booking form. Fill the gaps and apply for an order. To get more information dial this phone number 020 3404 1646 today!